It's been a busy time! 2015 was our first season running our new business, Steel City Grazers, a goat landscaping company. There were a lot of challenges, but it was a great first year! Thank you to everyone who supported us! Big step forward for the City of Pittsburgh! Last summer, our urban agriculture ordinances were updated. While they're still a bit too restrictive, they are a huge improvement over the old codes. And, GOATS are now allowed! Soon, we may no longer be the only goatkeepers in the city! We held a Goat 101 workshop in partnership with Grow Pittsburgh in the fall, and plan to hold another one this fall. We were also invited to present at the annual PASA Conference in February about urban livestock. In other news, Love Song is expecting kids again, and so are we! (Hopefully singular in our case, though!) Love Song is due in March or April and Carrie is due in May or June. 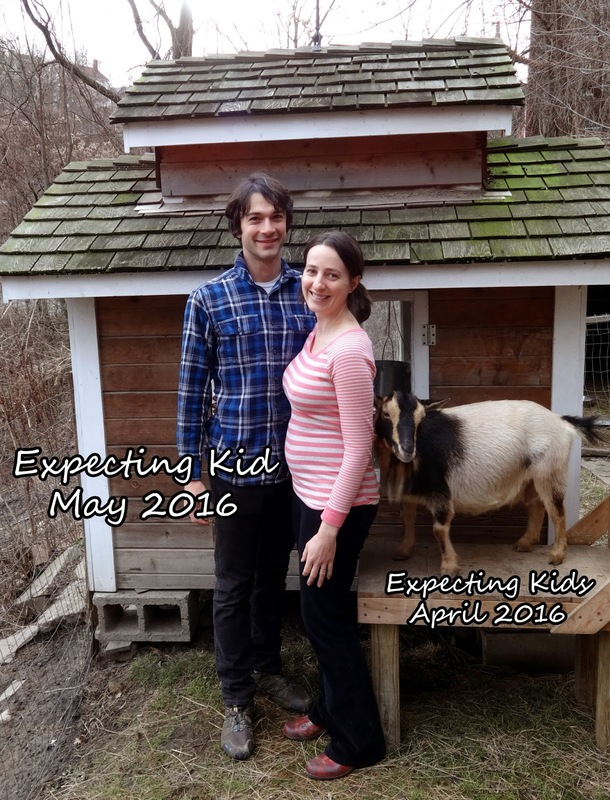 We have a feeling that raising human kids is going to be a bit different than goat kids!